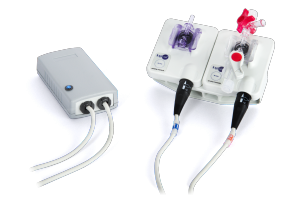 Small and handy, the AngE Phlebo allows measurements in both, the arterial as well as the venous vessel system. The multifunctional sensor reduces clutter at the workspace. 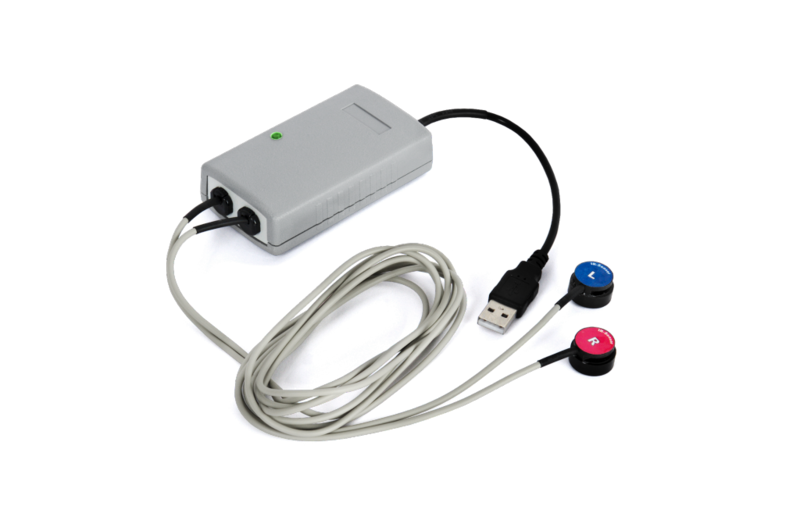 The direct power supply through the USB cable allows a maximum of mobility. 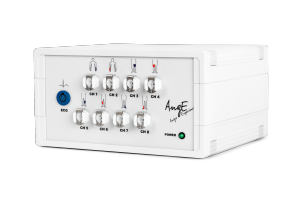 AngE Phlebo is the latest generation of PPG/LRR devices. 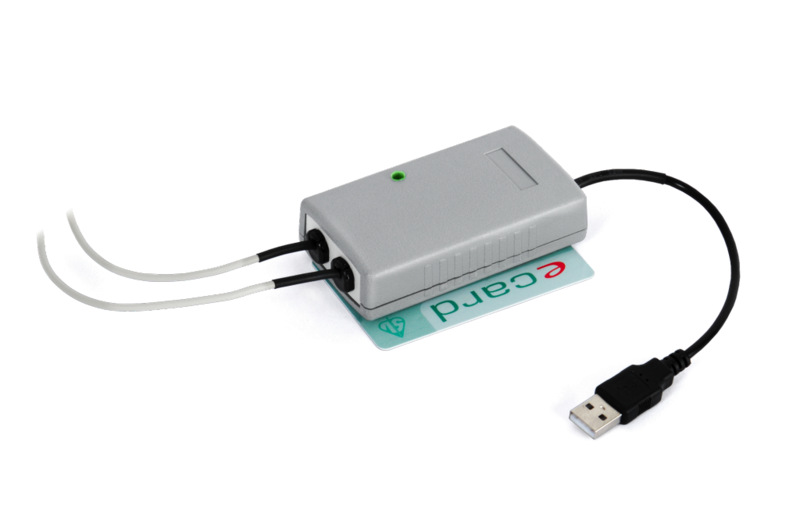 The credit card sized device allows quantifying venous valve incompetence and its hemodynamic efficiency. 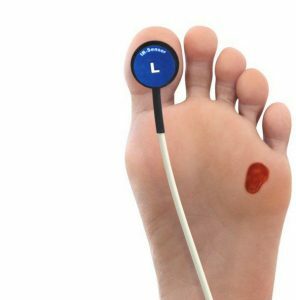 A very fast first measurement offers a quick overview of the venous state in a patient’s leg. 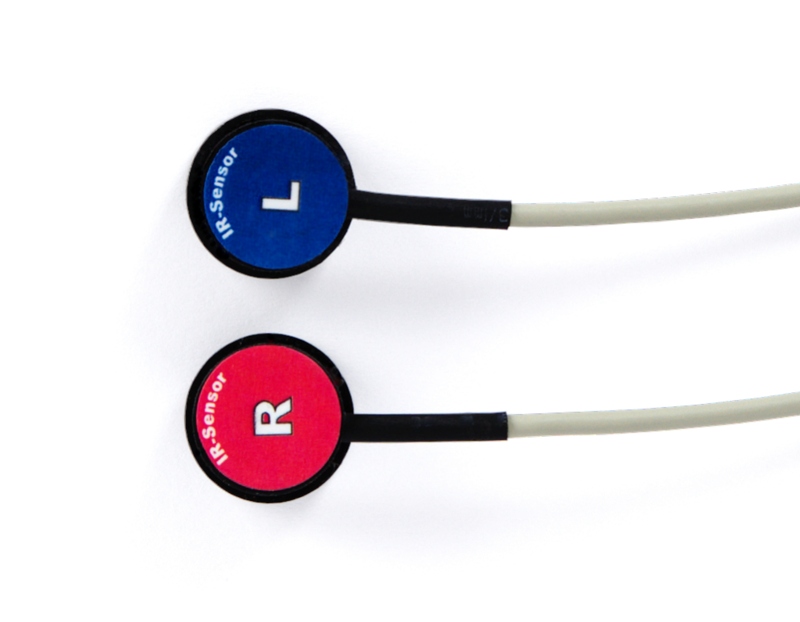 The second measurement with applied tourniquet helps to determine whether the venous valve incompetence is located in the superficial or in the deep venous system. Hence, it allows predicting the prospects of surgical intervention. 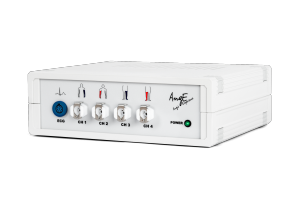 The AngE Phlebo is a 2-channel D-PPG/LRR device. This means it uses two IR-sensors to perform a venous function measurement. This allows for a fast venous valve incompetence diagnostic. To start operating the device, one simply plugs it into the USB port of a computer. Use the included AngE Software to create a patient database, record measurements and evaluate them in detail. The AngE software does not only save the main values, it records the whole measurement and its wave providing a better analysis method for further evaluation. Besides efficient venous valve function, also the function of the muscle pump influences the venous state of a patients leg. 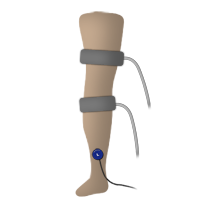 Only sufficient compression of the leg lead to an efficient transport of venous blood. In order to evaluate the function of the muscle pump, AngE Phlebo allows performing a measurement while the patient is walking. Compared with other muscle pump tests (sitting or standing) it's possible to determine whether physical therapy might advance the venous state of the patient. 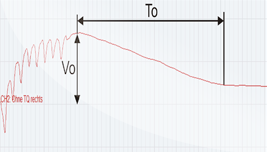 AngE Phlebo calculates the pump volume (Vo) and the venous fill time (To) automatically. The results are stated in a simple traffic light display for a fast evaluation. The pump volume indicates how well the patient pumps venous blood, through leg movement, in the direction of the heart. The fill time describes the tightness of the vein valves. Defective vein valves lead to a quick backflow of the blood to the leg, which shortens the fill time. Intact vein valves lead to a slow and continuous replenishment of the veins through the arteries. The AngE Phlebo provides predefined measuring programs for Tourniquet measurements. By doing so, the superficial vein system is compressed with a cuff to make it hemodynamically ineffective. Through comparing the measurements with and without Tourniquet cuff, it's possible to determine whether the venous valve incompetence is located in the superficial or in the deep venous system, thus providing information to predict the prospects of surgical intervention. The measurement's results and the vein curves are displayed at a sight for further comparison and evaluation. The AngE Phlebo provides a special examination program for phlebologists. By activating this function, the AngE Phlebo starts a continuous measurement with a maximum length of 200 seconds. This allows the examiner to apply his personal examination methods. The AngE Phlebo records all and provides a comparison and evaluation of the results. 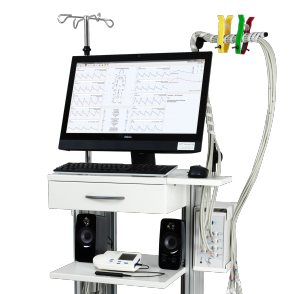 The All-in-One Vascular Diagnostics System. Click Here to Get in Touch Directly!